From the Whorfian Hypothesis — the idea that the language you speak may cause you to think about the world in unique ways — to the theory that discovering any language at all causes a radical transformation of thought, psychological scientists have been studying the ways in which language shapes learning for decades. 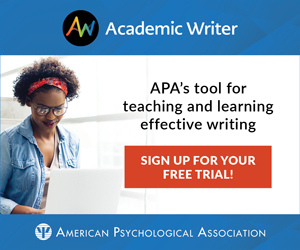 But, says APS William James Fellow Barbara Landau (Johns Hopkins University), both of these theories have their flaws — and she’s proposing a third theory to counter them. 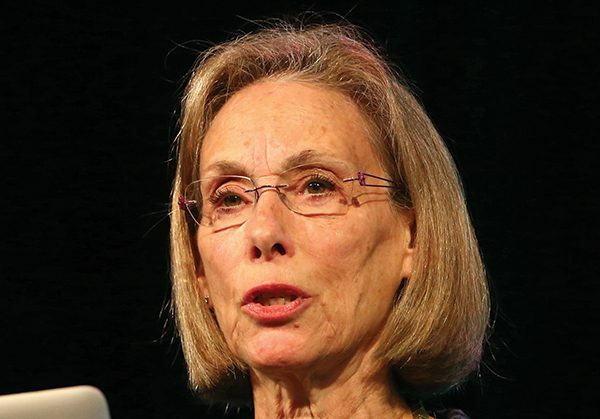 “Some of our information comes from exploring the world either visually, or haptically if we’re blind — but some information and some knowledge comes specifically from the mind itself,” said Landau, who has studied blind children to determine how they learn about the world, at her award address at the 2018 APS Convention in San Francisco. In the past, philosophers such as John Locke had suggested that “if you don’t have sensory input to feed a lexical concept or a word for that concept, then you will never develop them,” she added, but that notion simply hasn’t held up. In studies with APS Fellow Lila R. Gleitman, for example, Landau found that congenitally blind children could still acquire the words “see” and “look” and the concepts that underlie them, despite not having firsthand knowledge of them. When told to “look up,” these children reached up with their hands, exploring the space above them in a similar way to their sighted counterparts, who turned their heads upward to do the same thing even when blindfolded. Thus, while it’s clear that some knowledge is visually obtained, it’s equally obvious some is absorbed via other avenues, she said. With this in mind, one of Landau’s main questions across her decades of language research has been: Does language change thought? In attempting to answer this query, Landau has gleaned insights from other theories — most notably the aforementioned Whorfian Hypothesis and the “radical transformation” hypothesis — while still finding them lacking. The Whorfian Hypothesis, put forth by Edward Sapir and Benjamin Lee Whorf, suggests that learning a particular language (language A vs. language B) affects the way you think. As an example, Landau cited an experiment in which participants who spoke different languages were shown several patches of color with one outlier and asked to find the outlier. The outlier was either a different shade of the same color (green vs. lighter green; within-category) or a different but similar color (green vs. blue; between-category), and the colors were projected to each visual field separately. The experimenters hypothesized that between-category identification would be faster for people who spoke languages that had verbal distinctions between the two colors than for those who did not. Another approach to language learning is the notion that having any language at all radically shapes thought processes. Researchers studying spatial orientation, including Kenneth Cheng and APS Past President C. R. Gallistel, have found, for example, that if you put a rat in a room and give it a food reward, then disorient it, then put it back in the room, it will sometimes go to the place where it received the reward but also will sometimes go to the geometrically equivalent place with no food (that is, directly across from to the food-reward site). With no language, rats rely entirely on the geometry of the surrounding space, often ignoring other salient cues. While both of these approaches to the intersections of language, learning, and cognition have valuable insights to offer, said Landau, they also each present “critical weaknesses.” The argument that a specific language shapes thought is problematic, she said, because it’s unclear what is being shaped — could it be perception or memory rather than thought itself? In addition, language is used implicitly in nonlinguistic tasks (e.g., instructions, responses), which makes it difficult to code for more nuanced nonverbal responses. The proposition that any language radically transforms thought is incomplete, Landau noted, because the mechanism is unspecified. It’s clear that language is not necessary for all thought —so what, exactly, is it necessary for? To further this hypothesis, Landau and colleagues conducted a case study with several variations. To start, they showed 4-year-old children a half-red, half-green block of color, removed it for a second, then presented three similar blocks — the same block, a reflection, or a diagonal split — and asked the children to pick out what they had just seen. The researchers implemented several language manipulations. The first, a simple “Look at this!” or “Look at this! This is a dax,” succeeded by the question “Which one is exactly the same as the one you just saw?” produced correct guesses from the children approximately 60% of the time. The second, “Look at this! The red is on the left,” followed by the same question, brought correct choice rates up to 80%, but all other manipulations — “Look at this! Let’s see where the red is,” combined with flashing the red part of the block; and “Look at this! Let’s see where the red is,” in conjunction with increasing the size of the red part of the block and asking children to point to it — decreased the correct guesses back down to 60%. Landau also had the children perform a task to show whether they could identify top versus bottom (95% could) and left versus right (between 0 and 80% could). She theorized that, since the “left” condition produced the most correct results, those children who knew their directions would do best on the color task. But that wasn’t the case. To see whether this might work in a more relatable setting, Landau replicated the experiment with more comparative words (e.g., “Look at this! The red is prettier/nicer/lighter/brighter than the green.”). The results held steady at 78.8% — almost as accurate as those of the “left” condition. “This asymmetrical concept — prettier — actually works for 4-year-olds to carry over the binding of the color location in this very local context,” she explained. Cheng, K., & Gallistel, C.R. (1984). Testing the geometric power of an animal’s spatial representation. In H. L. Roitblat, T. G. Bever, & H. S. Terrace (Eds. ), Animal Cognition (pp. 409–423). Hillsdale, New Jersey: Lawrence Erlbaum Associates. Gilbert, A. L., Regier, T., Kay, P., & Ivry, R. B. (2006). Whorf hypothesis is supported in the right visual field but not the left. Proceedings of the National Academy of Sciences of the United States of America, 103, 489–494.